Getting back to homeschooling after the holidays is not easy, but each year it must be done. 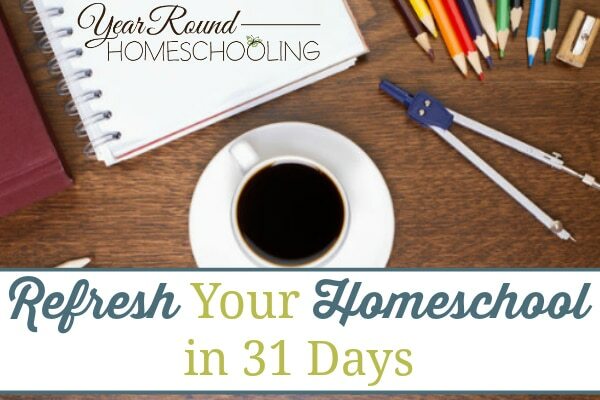 I’ve found that a new year provides the ability to refresh your homeschool in countless ways! Whether you want to encourage independent learning, do better planning or start journaling to help battle an overwhelmed spirit, a new year can bring refreshment for you and your homeschool! Our family business is very busy during the winter months, so while we do homeschool in the winter our days are typically more focused on business than homeschooling. 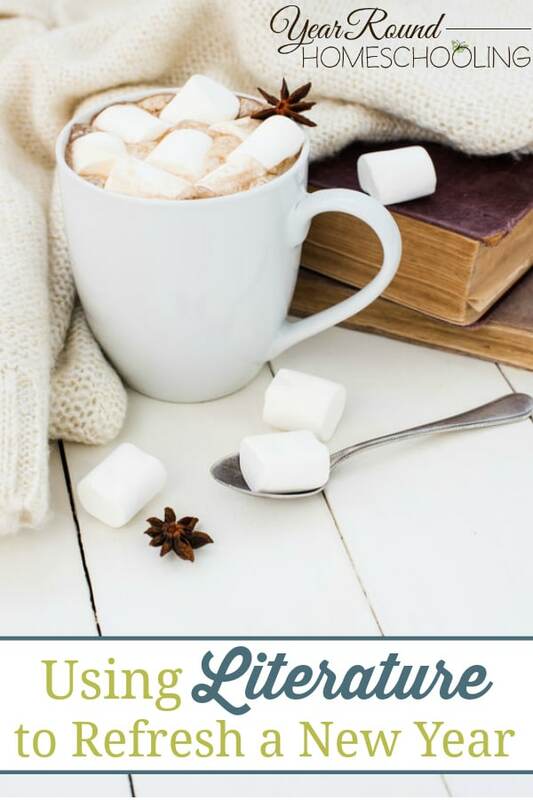 With the coming of this new year we’ve found refreshment for our homeschool using literature as a major focus of our winter homeschooling. My husband and I tend to be very busy with our family business in the wintertime, so finding subjects that our children can complete without much supervision is important for our winter homeschooling. Since both of our children are middle schoolers literature is the perfect subject for them to focus on during the winter. Our children love to read, so literature is also a subject that our children always enjoy. My children enjoy historical fiction and biographies the most. However they have read books that cover Science, Art, Geography and more as part of their literature studies. 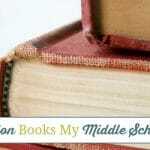 The beauty of using literature as a major part of your homeschooling is that you can select books that cover any school subject for your kids to read. Since our children do love to read I use that love for learning to my advantage by allowing them to learn through reading for many of their school studies. Thankfully I learned a few years ago that textbooks aren’t required for homeschooling and I have embraced literature more each year since then. I have seen first hand how much more my children retain from reading quality literature vs. a textbook. Watching their eyes light up as they tell me all about the journey they’ve just completed through the pages of a book is amazing! It speaks of all the reasons I love homeschooling! Dover Publications is a family favorite literature resource for us and this winter my children have read a couple of their historical fiction books already. 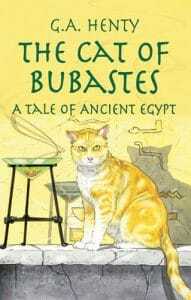 My son enjoyed reading The Cat of Bubastes as part of his Ancient Egypt Online Unit Study. He thoroughly enjoyed the combination of online learning and literature. The battle in the first chapter of the book was his favorite part of the story. This book made learning about Ancient Egypt a fun and exciting educational adventure for him! 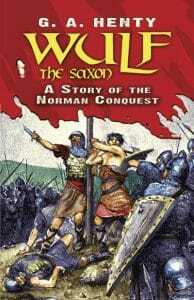 Wulf the Saxon is an exciting historic story of the Norman conquest. My son’s favorite part of the story was the assassination attempt of King Henry. He really enjoyed reading about the medieval combats that occurred during the invasion of England where courage was required for each battle they faced. 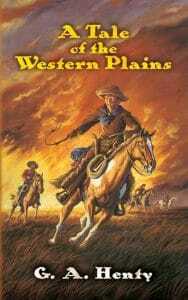 My daughter loved learning about Cowgirls from history last year, so it was no surprise to me when she chose to read A Tale of the Western Plains. Her favorite parts were the gun battles and the story of how a man proved who he was through letters from his brother. These are just a few of the historical fiction books from Dover Publications that my children have selected to read over the next few years. Both my son and my daughter believe that they will more thoroughly enjoy this selection of books as part of their high school literature curriculum. They felt that the vocabulary, story type and length were more suited to a high school literature course. As a Year Round Homeschooling reader you can save 25% on your order through Dover Publications by using this code –> WHBS (This discount is valid through 2/28/17) My mom used their homeschool resources for my brothers and I and now I am using them for my children. 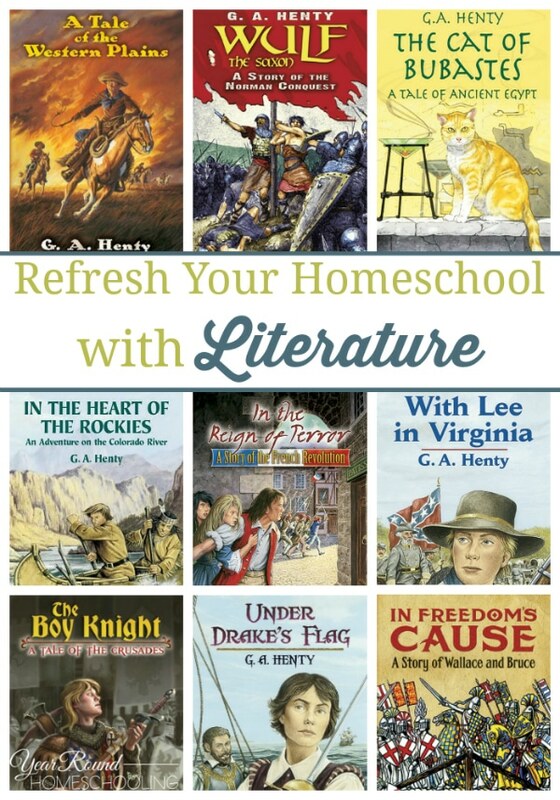 Not only do they have great historical fiction and beautifully illustrated children’s storybooks, but they also have quality literature, coloring books and much more that you can use for your homeschool! This winter my son has also been reading the Lord of the Rings trilogy that he received as a Christmas present. While I have never read the books myself, my little brother did and he encouraged me to have him read the books prior to seeing the movies. As my son has been reading the books it has been fun to hear him tell me all about things I’ve seen in the movies. My daughter chose to learn about Princesses for one of her history studies and has been greatly enjoying Carolyn Meyer’s books about Mary Tudor, Marie Antoinette, Catherine of Aragon and more. I have learned a lot about history that I was not aware of by her sharing what she’s read! 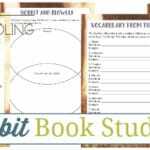 Our long winter months have already been refreshed by adding more literature studies to our homeschool days. On a typical winter day in our home you’ll find both of our children curled up in their beds or on the couch with a book in hand traveling to far away lands and historical moments in time! 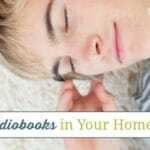 Have you ever considered using literature as a way to refresh your homeschool? Hi Misty, that was a great post. Thank you for taking the time to encourage & write it! Question – do you just have your kiddos talk about the books with you? Do they do book reports? 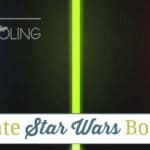 Do you incorporate the info they learned in any other way, such as a timeline or anything else?